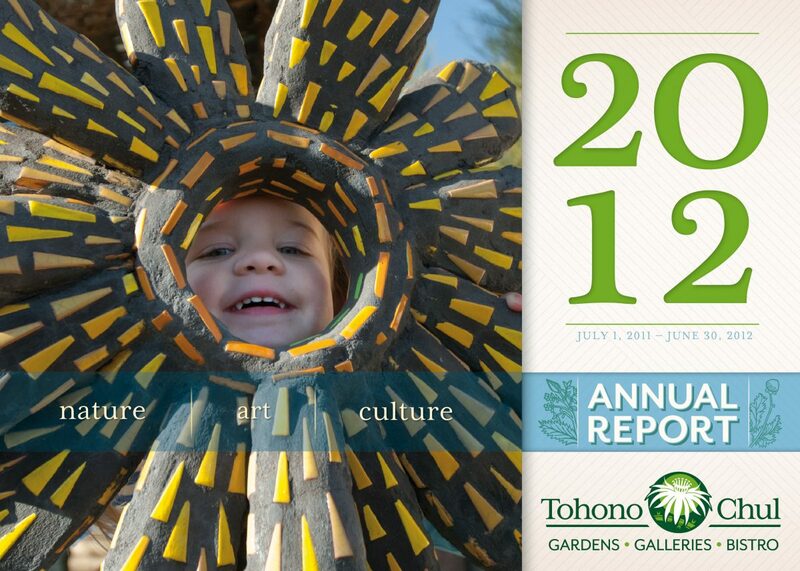 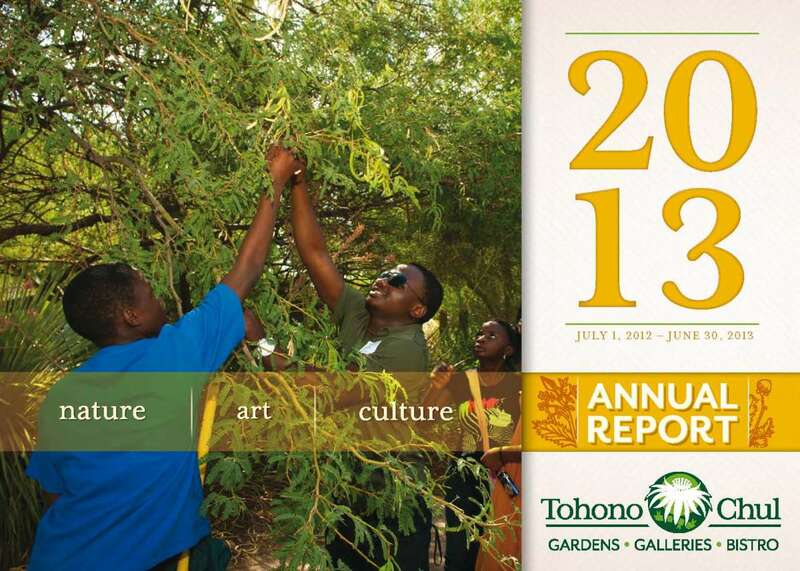 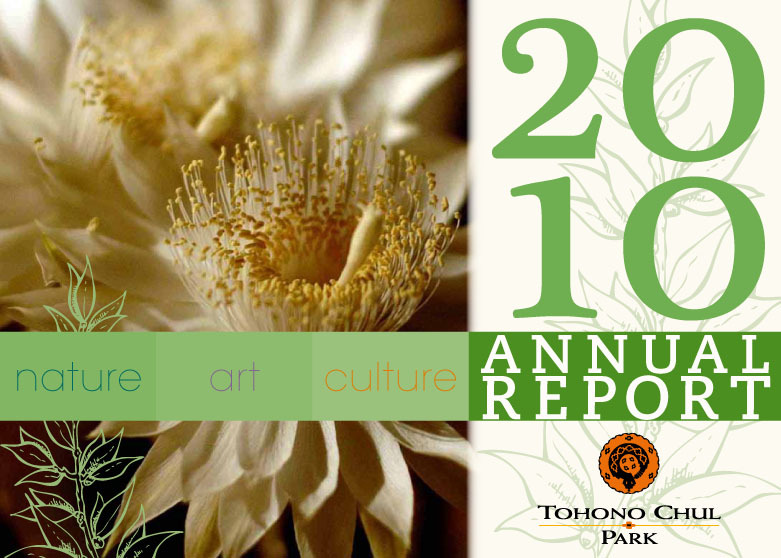 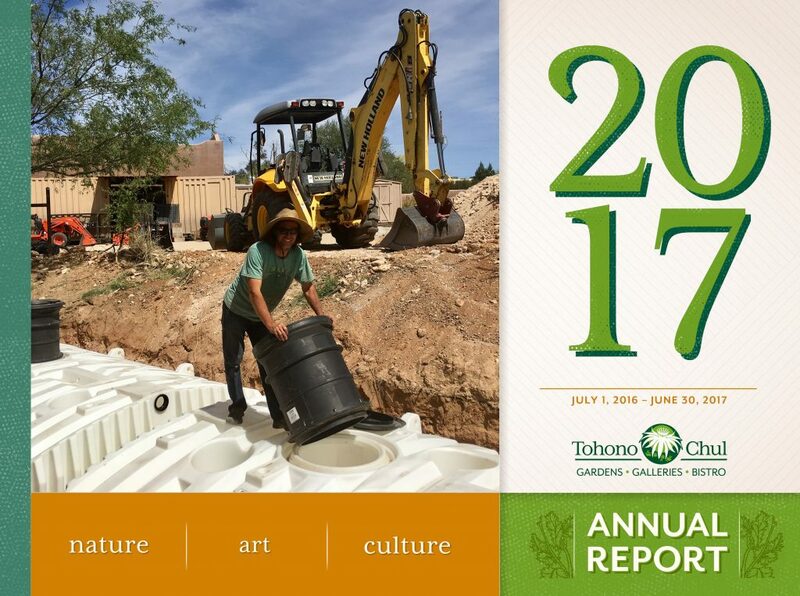 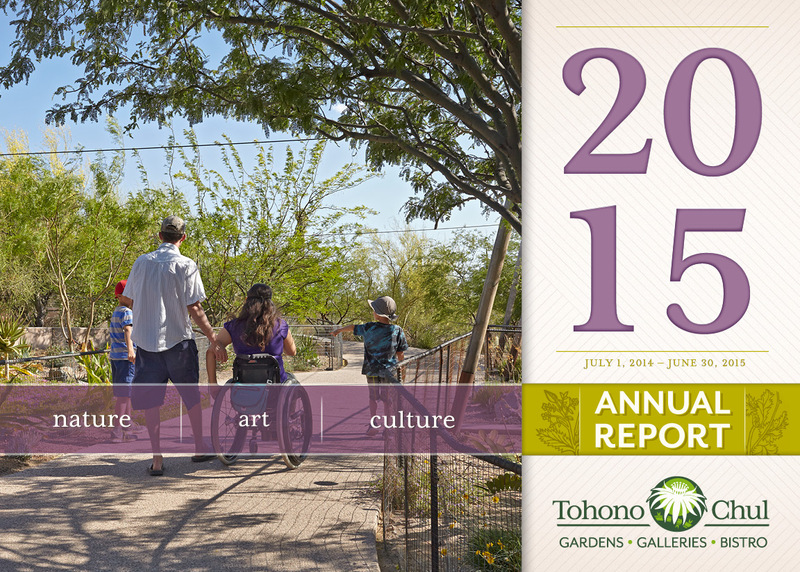 We’re pleased to share Tohono Chul’s 2016 Annual Report highlighting a few of our major accomplishments between July 1, 2015 and June 30, 2016. 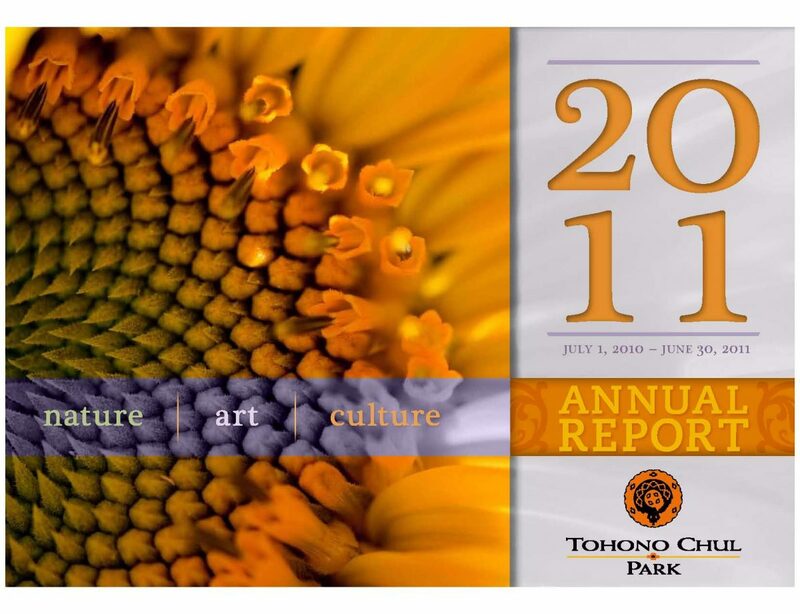 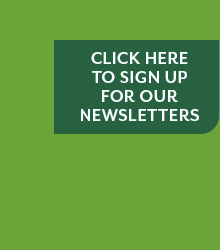 Inside you’ll also find a message from our Executive Director, our mission and core values, financials and a listing of our Board of Directors and Senior Staff, and contributors at the level of $500 and above. 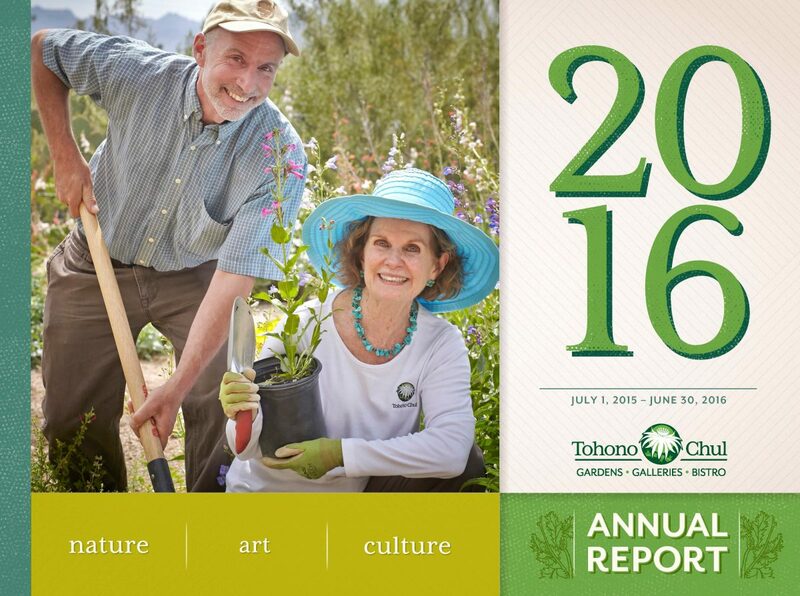 The 2016 Annual Report, along with previous annual reports, are available to you via the links below. 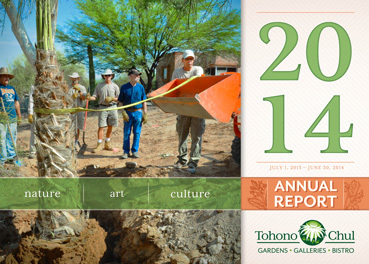 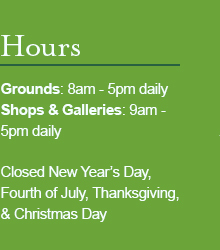 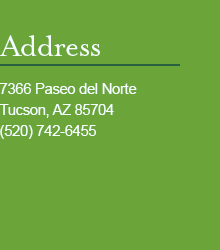 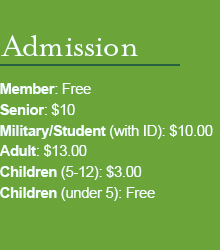 Thank you for your interest and support for Tohono Chul.